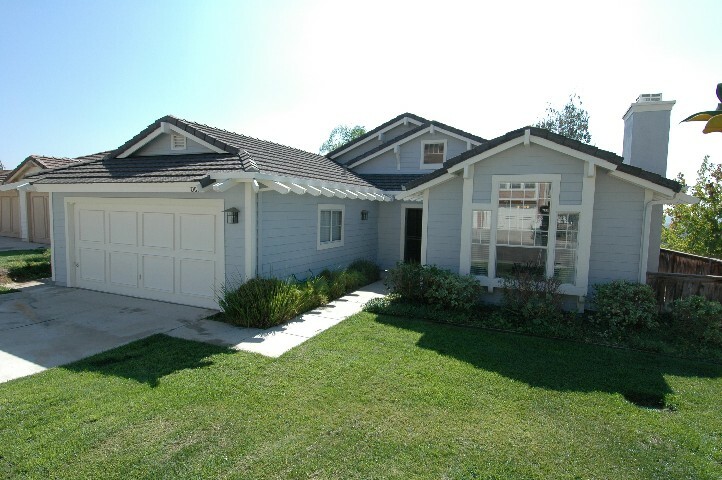 2105 Laura Drive... One of Escondido's Best Buys! What a combination of desirable traits!... 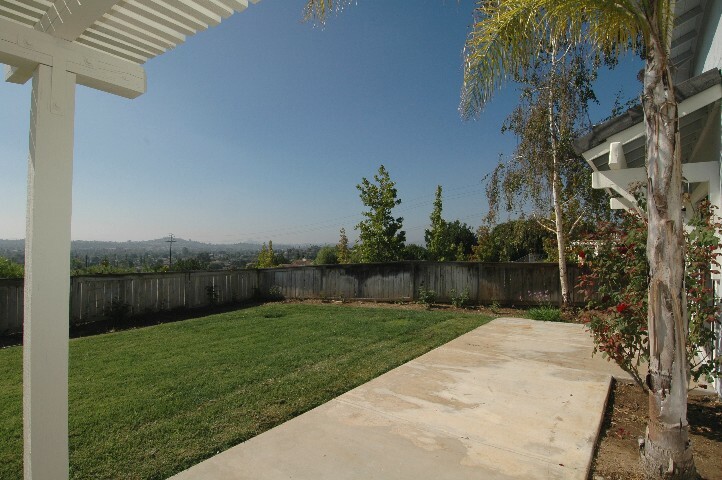 Wonderful Quiet Location in a beautiful Master Planned Neighborhood... Single Story... nice sized fenced yard... Class A Fire Rated Tile Roof... Roomy Two Car attached Garage... New Paint... New Flooring... Custom Draperies... New Dishwasher... New Microwave... and all just across the street from the Community Pool. 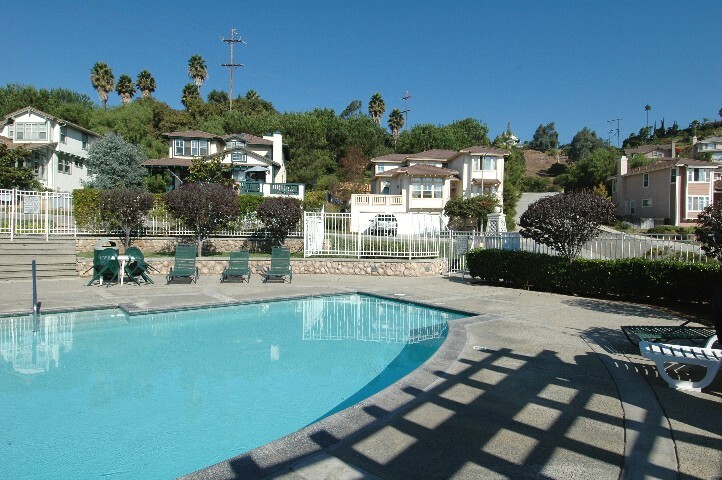 Click her to see a wonderful Virtual Tour... of the home... Community Pool... Neighborhood Amenities and related Schools. What a great floorplan. Open... bright... flowing... and cheerful. 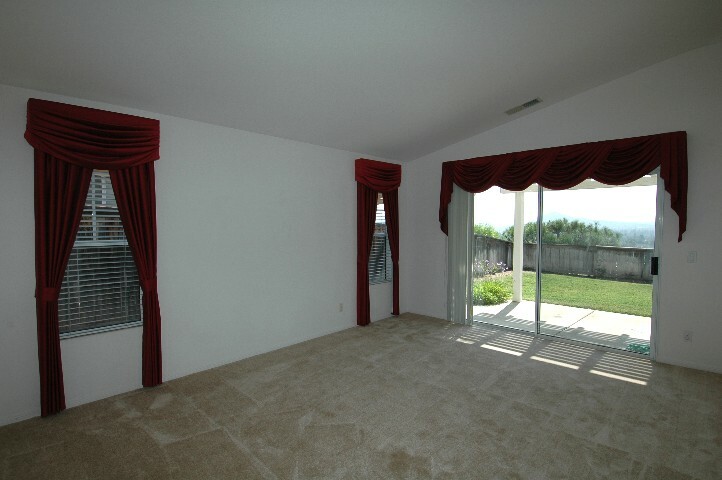 Panoramic Views from many rooms... and High Vaulted Ceilings to create volume and spaciousness. 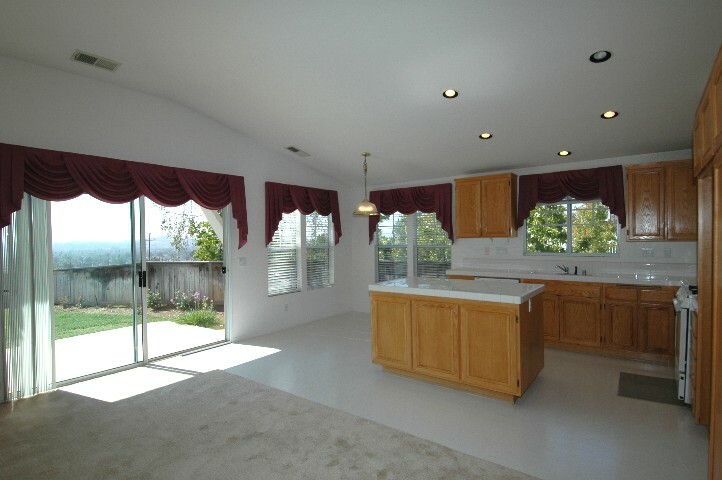 The Center Island Kitchen with breakfast nook... flows into the "Great Room" family room... and out through wide sliding doors to the private patio... and Panoramic View over Escondido. The Formal Dining Room with decorator chandelier and elegant Swags & Jabot's flows into the equally elegant living room with vaulted ceilings and romantic fireplace. Spotless and clean... this is truly move in condition. 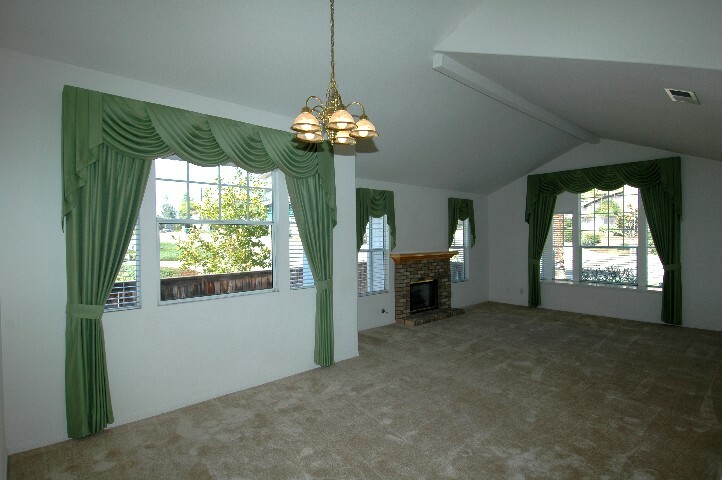 Shown above is the Beautiful "Master Suite"... Spacious... enjoying Vaulted Ceilings... custom draperies... walk out access to the private yard... shaded patio... and spectacular view. 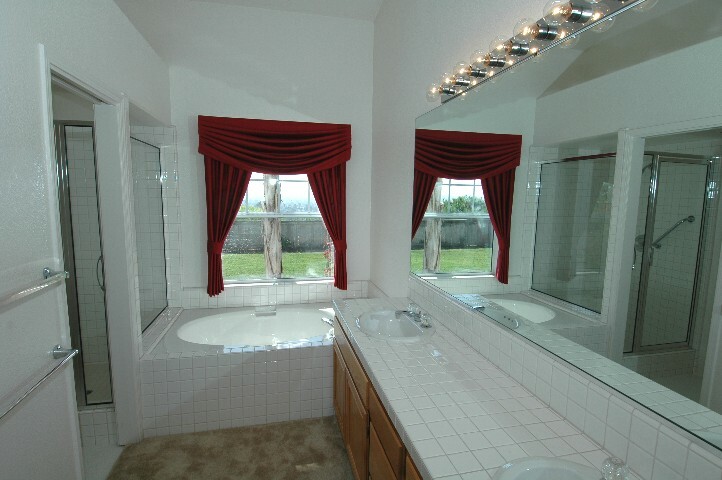 The elegant bath... double vanity... garden tub... separate shower... walk in closet... skylights... is private and inviting! Notice the new flooring everywhere... the views everywhere... and the brightness! Be sure to visit the virtual tour link above to get an even better idea of the home and neighborhood. The Convenient Pool is just across the street... but nicely removed... from our single story treasure! The fenced back yard ... shown above from under the shaded patio off of the Master Suite... has access from the Kitchen/Family Room as well. The Panoramic South view defines "Evening Lights" View!. The virtual tour also has scenes from "Dixon Lake" and "Daley Ranch"... just around the corner from Greenway Rise. Truly in the middle of everything... yet quietly... high up on the South Facing Hill... above the hustle and bustle! 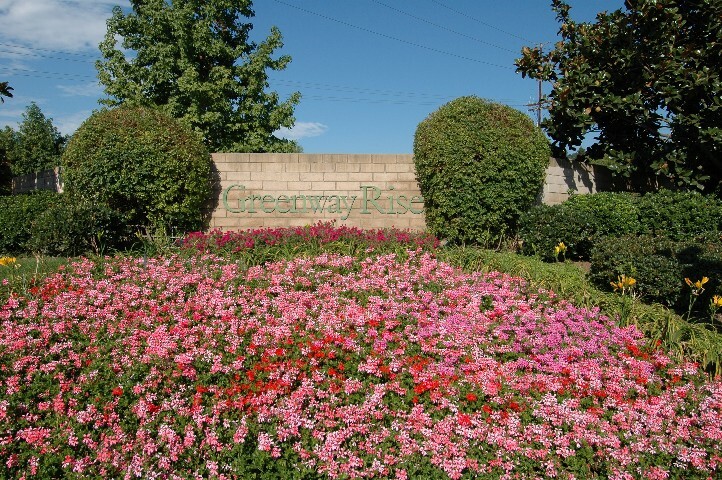 "Greenway Rise"... One of Escondido's best Kept Secrets. Community Park... Community Pool... Cul de sac streets... no through traffic... and "Oozing" Pride of Ownership. Walking distance to Conway Elementary... Home of the Cougars and served by popular Rincon Middle School ... the beautiful campus of Escondido High School a "California Distinguished School"... is a tribute to the District!